Many women know how to sew well, but not each of them is able to open her own sewing manufacture , or at least begin to take orders at home. 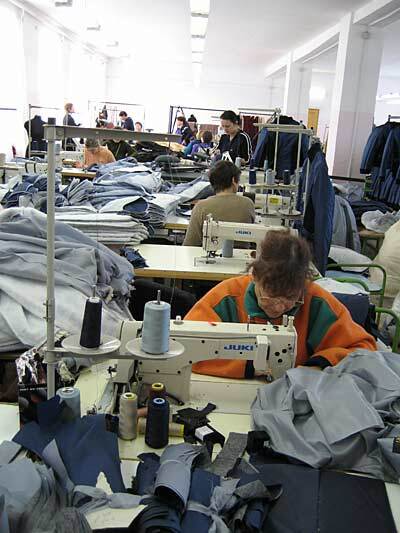 To open the production of clothing, not only to understand the intricacies of sewing, but to be a good leader and have the ability of the designer. Where do you start? Explore the local market of clothing, ask whether you have worthy competitors. Register with the local tax authorities unincorporated business or LLC. Get all the necessary documentation (OGRN, INN, an extract from egrip/register, codes of statistics), register the print to MCI and open a Bank account. Find the room to be spacious, well lighted and ventilated. In addition to the shop, making clothes, it must have compartments for storage of consumables, finished goods warehouse, office Manager and chief accountant. Rent or buy suitable in all respects of the room. We will invite representatives of the fire service, sanitary and epidemiological surveillance and environmental Commission to obtain a positive opinion about his condition. Make a competent business plan for the future of the enterprise or attract professionals to its development. The business plan must be specified the work schedule of the company and stipulates the conditions of labour. Purchase all the necessary equipment according to the technologies on which you are going to produce clothing, and with consideration of specifics of your company (children's, women's clothing; shirts, blouses, pants, etc.). Organize the room so that the process does not have any interruptions and downtime. Before hiring key employees, contact the designers themselves or develop models of clothes. Purchase fabrics and accessories from reliable vendors. Don't skimp and don't buy cheap fabric, if you do not want your item was unsold stock. Decide how you will advertise your products or to start, make several agreements with shops and markets at dumping prices, presenting samples of products that are planning to release. Hire core staff. During the interview be sure to ask them to demonstrate the skills of cutting and sewing. Hire and "their" designers to manufacturing was not in place and not go on about the consumer goods.